The Barking Lot flyball team took its first unsteady steps back in October of 1996 when Taylor and Suzanne Johnston (in Flyball since June of 1990 - with Tailspinners & Stray Dogs) started the team with the idea of competing for fun and exercise for both our canine friends and ourselves. The first of many Tournaments to follow this new group was at the Sportsman Show in March of 1999, with the amazing record of 23.928 seconds. Our one and only 25pt run that weekend. Jump to today and our fastest recorded time is 20.148 seconds with Beic, Guinness, Pekoe and Wizard on July 30, 2006 . 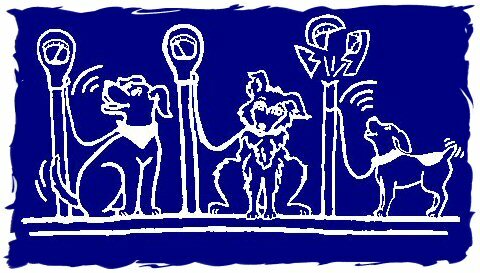 Late in 2008 Taylor retired from flayball retiring the Barking lot name as well ..... You can find us now racing on Pretty Darn Quick Flyball Team.